BIO International Convention 8 a.m.
Senate Appropriations subcommittee hearing on FDA budget request 10:30 a.m. Bipartisan Policy Center event on pandemics 4:30 p.m.
FleishmanHillard event on health care in Trump era 11:30 a.m.
Senate Appropriations subcommittee hearing on NIH budget request 10 a.m.
House Energy and Commerce subcommittee hearing on CHIP 9 a.m.
Senate Democrats are weighing whether to bring the chamber’s business to a halt next week in an effort to voice their objections to the GOP health care push, according to sources familiar with the effort. The Democratic leadership and rank-and-file members are planning to prevent the chamber from conducting routine business, including allowing committees to meet for extended hearings when the Senate is in session. Senate Democrats are escalating their attack on Republicans’ plans to repeal Obamacare this week, though their party remains divided on how far to take activists’ demands that they shut down the Senate in protest of the GOP’s dismantling of the Affordable Care Act. Democratic senators are planning to hold the Senate floor until at least midnight on Monday to thrash Senate Republicans for refusing to hold committee hearings on their healthcare overhaul, according to several people familiar with the plan. An organization that opposes the Republican effort to repeal and replace key parts of the Affordable Care Act is pressuring five GOP senators not to vote for the emerging legislation in a new $1.5 million ad campaign that begins Monday, officials with the group told The Washington Post. Community Catalyst Action Fund, which bills itself as a consumer health organization, is targeting Sens. Lisa Murkowski (Alaska), Jeff Flake (Ariz.), Susan Collins (Maine), Dean Heller (Nev.) and Shelley Moore Capito (W.Va.) with television and radio ads urging them to vote no. Businesses are watching closely as Senate Republicans try to hash out a deal on a GOP version of health-care reform to replace the Affordable Care Act. Whether they can bridge their divisions, however, remains to be seen. It has become a regular feature of the U.S. political system that the politicians in the minority accuse the politicians in power of cutting deals behind closed doors to advance controversial legislation — only to engage in similar tactics once they regain power. This has become increasingly clear as Republicans in the Senate struggle to craft a health-care deal that will gain at least 50 votes, the bare minimum necessary under the legislative path — known as reconciliation — chosen by the GOP. Senate Republicans can’t answer simple and critical questions about the health care bill they’re crafting in secret. Some still can’t say what it’s trying to do — other than garner enough votes to pass the Senate — or how they believe it will improve the American health care system. The U.S. economy has had one, big, reliable source of increased employment over the last decade — health care, which has added jobs all the way through, including during the 2008-09 recession, which ripped through other sectors. But this growth hasn’t been evenly distributed — health jobs have been a bonanza for Californians and New Mexicans; but east of the Rockies, not so much. Former heroin user Kendra Williams, 24, knows she’s lucky. She recalls sharing dirty syringes to shoot up, risking hepatitis C and HIV. U.S. stock-index futures rose, following a lull in markets after equities hit another fresh record last week. S&P 500 contracts expiring in September added 0.3 percent at 5:28 a.m. New York time. A bipartisan group of governors, including three Republicans, is criticizing the House GOP health bill’s proposed cuts to Medicaid and urging Congress to focus on bipartisan action to stabilize the private insurance market, according to a letter sent Friday to Senate leadership. Lawmakers should improve the insurance system by controlling costs and stabilizing the market, the governors wrote. The White House’s commission to combat the opioid epidemic could clash with President Trump’s proposed cuts to Medicaid. Various experts at the White House’s first panel on opioids Friday expressed concerns that any cuts to former President Obama’s Medicaid expansion program could create a major roadblock in the fight against opioid abuse. Kentucky Gov. Matt Bevin’s planned overhaul of Medicaid is running into the unforgiving reality of impoverished small towns like this one, which voted overwhelmingly for President Donald Trump. Making adults work as a condition for getting health benefits is popular with the conservatives running many state capitals and Washington, D.C.
It’s hard to get excited about a health insurance premium spike. But for Lori Wing-Heier, Alaska’s blunt but friendly state insurance commissioner, the decision by the state’s Blue Cross Blue Shield plan to raise its rates by just 7 percent was a moment of joy. The Affordable Care Act created a program called risk adjustment to help steer funding from health insurance companies with healthier customers to companies that attract sicker people. But an FBI investigation into allegations that Oregon-based health care system Zoom fraudulently tinkered with the codes and medical claims of its insurance customers is causing concern that the program is ripe for widespread gaming. Republican Texas Governor Greg Abbott signed a bill into law Thursday that would allow new mothers on Medicaid to obtain screening for postpartum depression. The law is part of a larger effort to address the high maternal mortality rate that plagues Texas. Some Light Shopping With Your Drug Infusion? Mall landlords across the U.S. are coming up with creative ways to fill space vacated by slumping retailers, from restaurants and gyms to trampoline parks and bowling alleys. One surprising addition? Large medical providers. Genesis Healthcare will pay the federal government $53.6 million to settle six lawsuits alleging that companies the post-acute care system acquired submitted false Medicare claims for unnecessary treatment and delivered grossly substandard nursing care, the U.S. Justice Department announced Friday. Kennett Square, Penn.-based Genesis, which is one of the nation’s largest investor-owned skilled nursing, senior living and rehabilitation therapy providers with more than 500 skilled-nursing facilities in 34 states, has acquired a number of post-acute care providers over the past several years. A group of U.S. lawmakers has backed medical device makers by urging India to reconsider its decision to cap prices of heart stents, raising the issue ahead of Prime Minister Narendra Modi’s visit to the United States later this week. In a letter sent to the Indian ambassador to Washington last month, and seen by Reuters, 18 members of Congress said they were “troubled” by the price cap, warning that it could deter firms from launching new medical products in India. They may not explicitly mention President Trump. But the global recruiters who flock to the biotech sector’s big annual networking conference here this week will not be shy about trying to woo U.S. scientists and entrepreneurs frazzled by the Trump administration’s talk of slashing research funding, suspending immigration, and rejecting scientific consensus. A cyberattack last year paralyzed MedStar Health computers, forcing the Maryland operator of 10 hospitals and more than 300 outpatient centers to shut down its entire electronic-record system. Doctors logged patient details with pen and paper. This week, at the Aspen Institute’s Spotlight Health, America’s biopharmaceutical companies will show how new discoveries and bold advancements are changing the way we treat life-altering diseases. Our 360° immersive video experience will take you inside a biopharmaceutical lab, where amazing discoveries are being made in science through the use of genomics-based research. You can learn more about the new era of medicine at www.Innovation.org. Florida ophthalmologist and retina specialist Salomon Melgen billed Medicare nearly $21 million in 2012, his most lucrative year in a five-year stretch in which he collected a total of $90 million from the federal government. The retina specialist attracted the attention of the U.S. Department of Justice, which charged him with submitting false claims and doctoring patient charts. Obamacare looks shaky, mostly because Republicans are sabotaging it. This, in turn, has rekindled calls on the left to create a European-style “single-payer” system, in which the government directly pays for every American’s health care. At the Aspen Institute’s Spotlight Health, scientists and leaders across the health care ecosystem are coming together to explore life-saving breakthroughs that are drastically changing the lives of patients. We have entered what is truly the new era of medicine, where ideas as wild as harnessing the body’s immune system to fight off disease have come to fruition. Learn more about the bold advancements that are transforming modern medicine at www.Innovation.org. Medicaid, the government program for providing health insurance to low-income and disabled Americans, is the largest health insurer in the United States with more than 73 million enrollees. 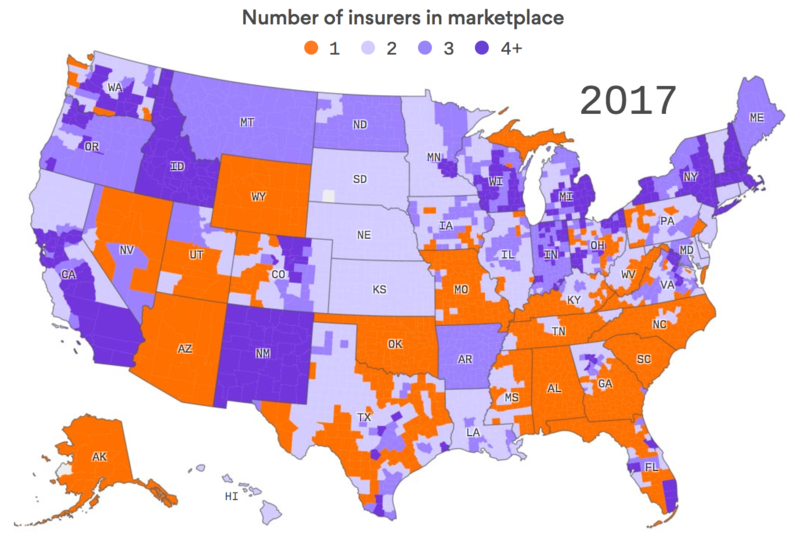 It is also the sector of the U.S. public health insurance system that relies most heavily on the tools of regulated competition with more than 60% of its enrollees enrolled in a private health plan in 2014.